The day started out as most Saturdays do. I awoke in a daze after having not slept very well the night before; a side effect of my new sleep schedule. So, after stumbling around my apartment for a bit, I eventually found the wherewithal to finally get my day started. Indeed, today was to be a rather important day. You see, a few weeks ago, I stumbled upon a piece of news that [adult swim] was launching their own emoji keyboard for Android and iOS. And to celebrate, they coordinated with several tattoo shops around the country to offer fans some free flash art. Never one to turn down a free tattoo, I put it on my calendar and never looked back. Today was the day it was supposed to happen… but it never did. After arriving 3 hours early to the shop, I was met with a line around 15 people deep. I sat there for a brief period of time, wondering if I had it in me to wait. I think I made it a good 45 minutes in, before realizing I was much too tired to spend my morning baking in the sun. After all, I wasn’t even sure how big the pieces were going to be, nor how good the artists themselves were. So, I concocted a plan of escape. Answering an urgent “phone call,” I audibly argued with an imaginary person for a few minutes, before making the move back to my car—in a huff, of course. Realizing these were my only plans for the day, I contemplated other things I could do in the area. After all, I did drive 30 minutes to Venice on a rather beautiful day. That’s when I remembered reading that Blue Star Donuts had recently opened a shop in the area. 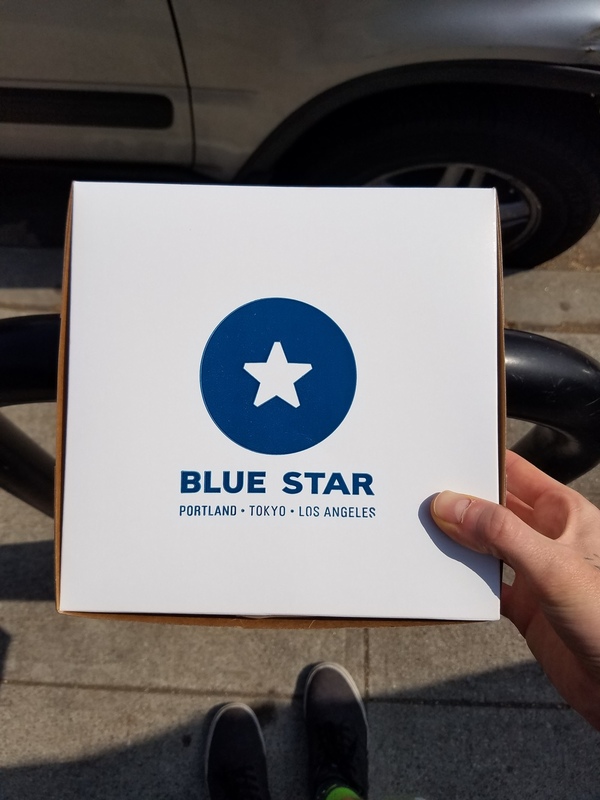 For anyone who doesn’t know, Blue Star Donuts is a Portland staple that now has locations around the world. They’re also well known for their motto, “quality over quantity,” which is evident in every single one of their delicious pastries. I first encountered their brand while traveling the country for my project, The Great Agency Adventure. It was after I had tried and been disappointed by another Portland staple, Voodoo Donuts. I waited patiently for nearly a year to try their confectionary concoctions, only to discover they’re nothing more than overrated sugar bombs. Thankfully, not long thereafter, I was tipped off about Blue Star. I can’t recall the donuts I purchased on that visit, but I’ll never forget how incredible they were. They’re a company that prides themselves on using natural, in-season ingredients and it's a difference you really can taste. I strolled a couple blocks to the west and landed on Abbot-Kinney Road, where I spied the shop’s cozy little storefront, nestled into a stretch of hipster-friendly coffee shops, eateries and boutiques. Upon first opening the door, I was greeted with a waft of fresh dough and spices—an experience that immediately transported me back to Portland’s embrace. 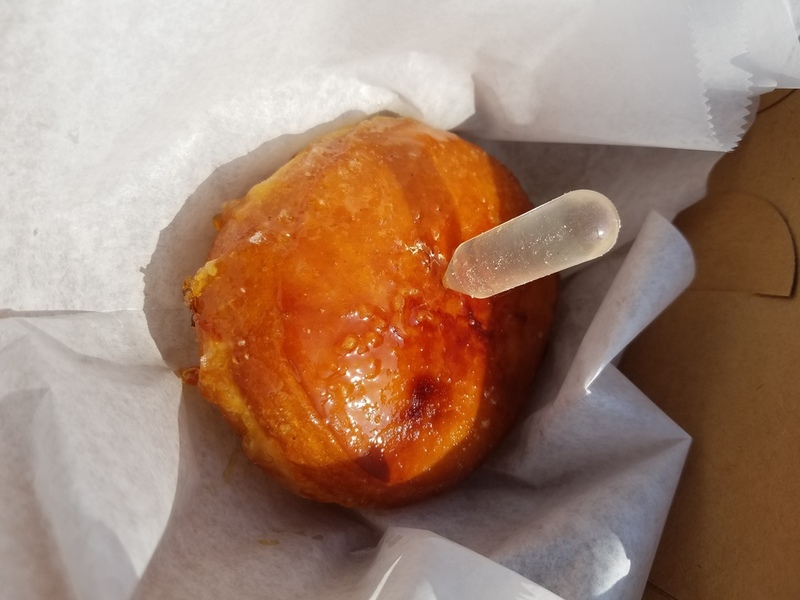 Not to be deterred, however, I quickly began to study the day’s selections and finally decided on a Cointreau Crème Brulee donut, which comes topped with an extra bit of liqueur for drizzling, and an Apple Cider Fritter, made with hard apple cider for an extra bit of bite. I couldn’t get my hands on these treats fast enough. As soon as I left the store, I took some snapshots of my conquest, before slowly working my way through them; being sure to enjoy every single morsel. The Crème Brulee donut was filled with a delicious vanilla cream that offered just the right amount of sweetness. You could even see the flakes of vanilla bean; further proof they stay true to their promise of always going the extra mile when it comes to quality. 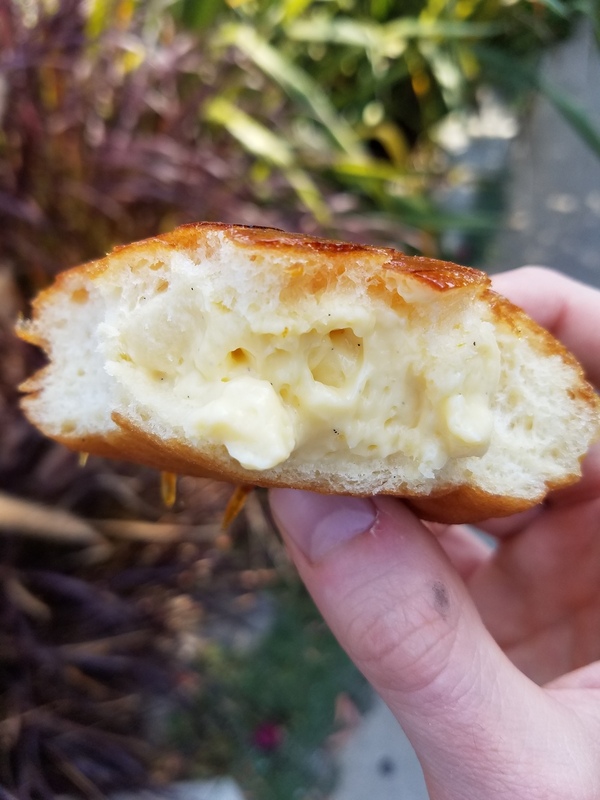 The Fritter flaked apart much like a warm croissant, allowing you to see every delicious apple, golden raisin and swirl of cinnamon contained within. To say it was magical would actually be an understatement. I may not have had the energy to sit on a sidewalk for 3 hours, but Blue Star reminded me that I’ll always have the energy to walk a few miles, if there’s a donut on the other side of that finish line. I also think it says a lot about Portland as a city. They’ve exported a piece of their culture with absolute perfection and for that, I commend them—and thank them.